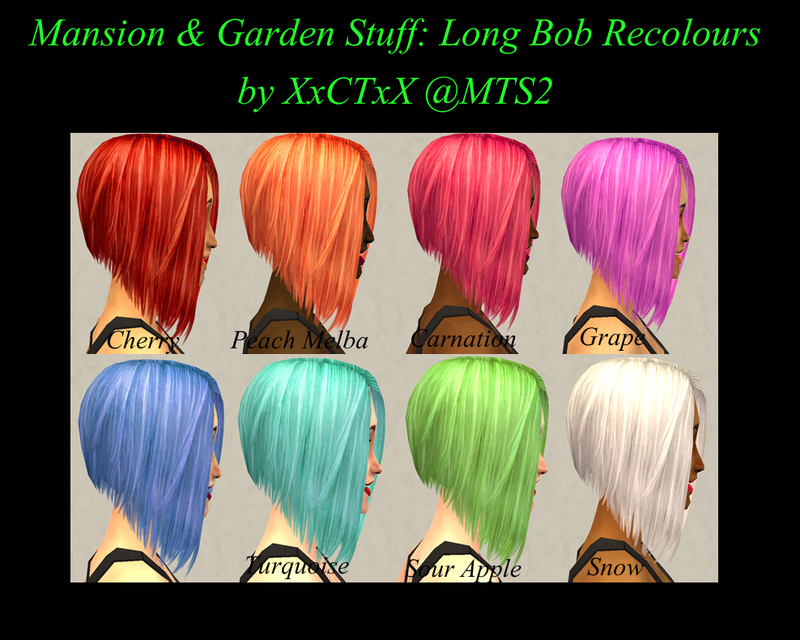 Maxis Match Base Game recolours of the Long Bobs from the Mansion & Garden Stuff pack. I made a total of 8 recolours named: Carnation, Cherry, Grape, Peach Melba, Powder Blue, Snow, Sour Apple & Turquoise. 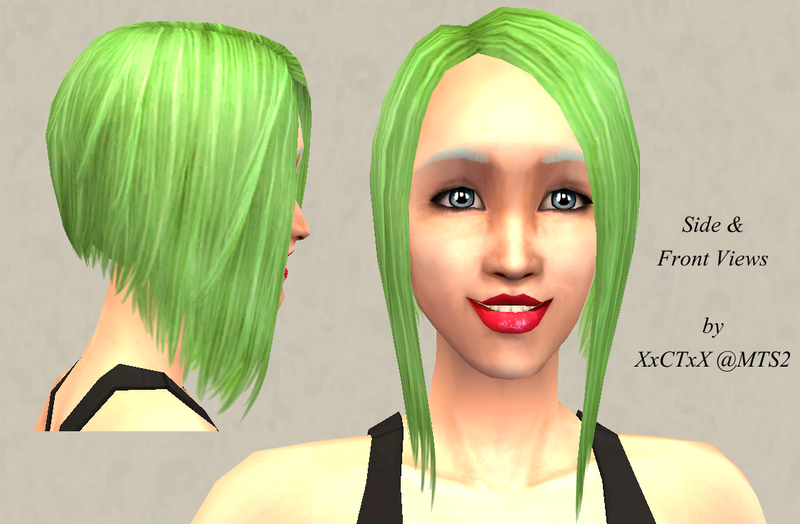 Thanks to these creators for making my Sim models gorgeous! 92 people have said thanks to XxCTxX for this download.